Update 2: Mobile users are facing download stuck issue. More details here. 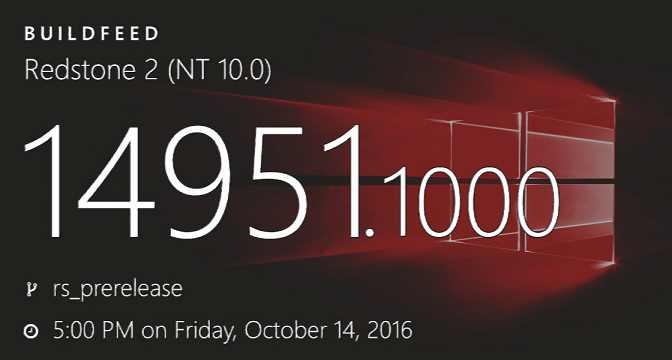 Update: Windows 10 Build 14951 is now available for fast ring insiders. To know what’s new in the latest insider build for PC click here and for mobile build click here. Original story: Yet another information leaked about the new Windows 10 RedStone 2 build. Windows Insider team is now working on PC build 14951 and mobile build 10.0.14951.1000. The build is compiled on October 14, 2016. This build could be released to fast ring insiders next week.